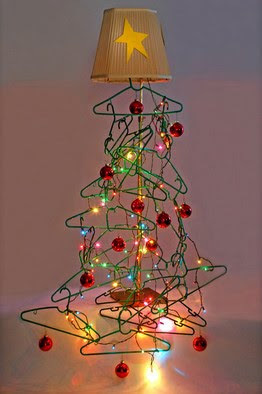 In the Wall Street Journal today, there is a hilarious article on alternative Christmas trees. Why spend $200 on a standard green dead or faux tree when you can recycle your trash to make your own personal statement? It is "green" in an ecologically correct way. There are pictures of trees made from coat hangars, Mountain Dew cans, and even beer bottles. Read it and you'll never look at a toilet brush the same way again.